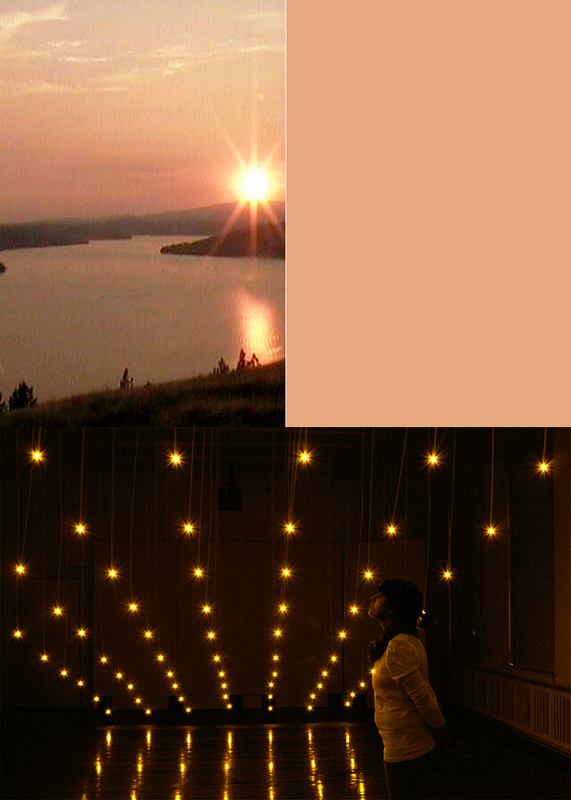 Golden Hour is a light installation that attempts to artificially recreate the sunset and extend its lighting quality ad infinitum. 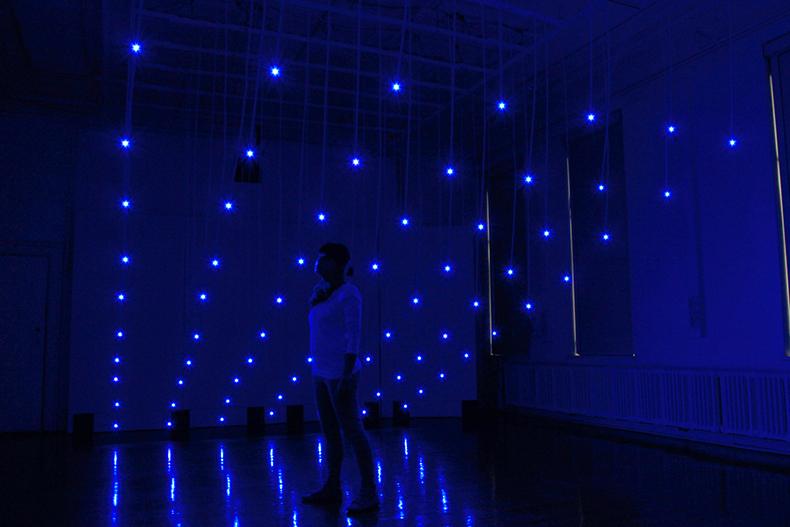 The installation appropriates real-time live video from 24 webcams placed in different locations around the world. The webcams extract the sunlight color information of each location; this color information is then mapped into a grid of color lights. In photography, the last hour of sunlight of each day is known as the “golden hour” because the quality of the light reaches its most dramatic tones. Golden Hour utilizes a system that translates one medium into another -i.e. : analog video > digital computing > physical light, as an attempt to question the dichotomist distinctions of natural/artificial, abstraction/representation, and illusion/truth. 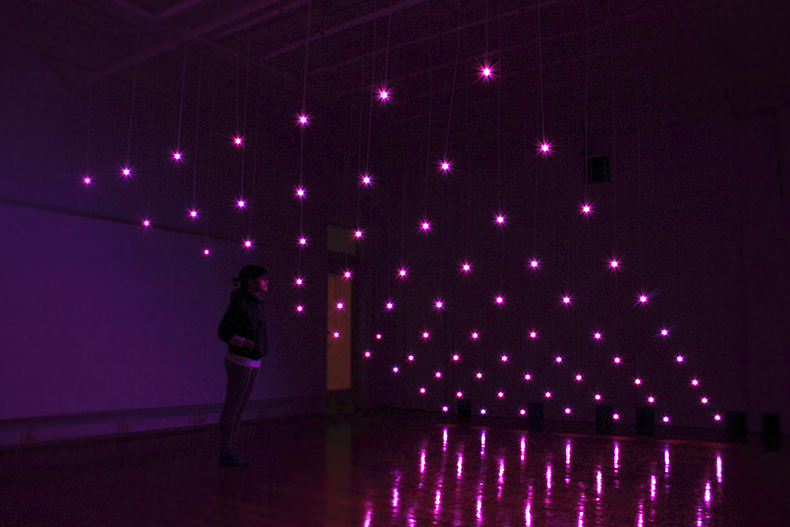 The installation utilizes 24 cameras located around the world. 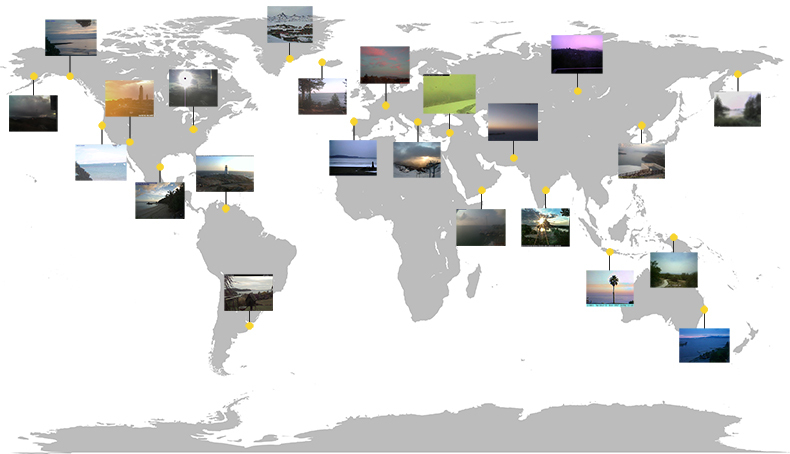 Each webcam is used only for the duration of the golden hour: the last hour of sunset. When the golden hour is over in one location, the system moves to the next location where a new golden hour is beginning. Every hour, a custom software downloads the images from the webcams and extracts the color information of each pixel (red, green and blue values). This information is then sent to an array of RGB LEDs that reproduces in the exhibition space the sunset color of each location.